Hi, I'm Bitsy and I want to let you know that I have some new brothers and sisters. They just arrived November 9th and Mom (Delaney) is really proud of them. 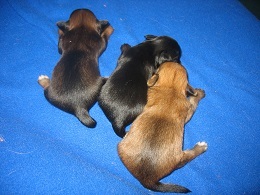 Their individual pictures are posted under Puppies Available. I will be 2 years old in February and my siblings should be similar to me when grown. Mom and Dad have adorable babies. Just look at ME!! 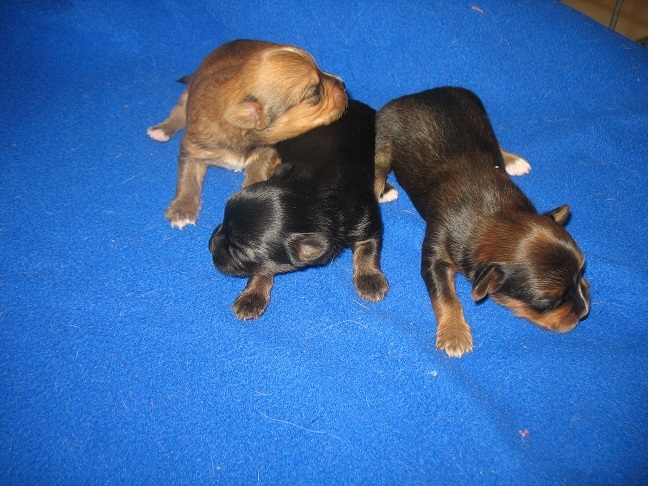 These registered parents produce adorable 1st Generation puppies. These babies arrived November 9, 2016. 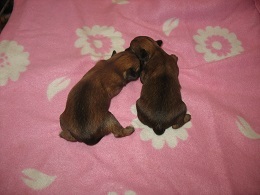 They have 5 puppies 2 Brown (one male and one female) 1 Darker Brown Female and 2 Black Males. Individual pictures are posted under Puppies Available.. The pictures are of previous babies of theirs. Many are pictures that were sent to us by their new families. Delaney, dam, is UKC registered Papillon and weighs around 5 pounds. Their Sire Dexter is Blue and Tan in color, he weighs just 3.9 pound and is a AKC (American Kennel Club) registered Yorkshire Terrier. They will be ready to go home January 4th when they are eight weeks old. The last 4 pictures are of Dexter and Delaney. Dexter is an adorable, lovable, very small Yorkie with a lot of personality. Delaney is also small and is a snuggler with a lot of personality. They both get along great with other dogs and love Rita’s grandson who just turned 5. These puppies will have their dewclaws removed. 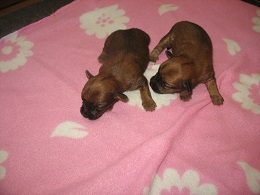 They will be very well socialized and up to date on their vaccinations and dewormings. All of our puppies come with a 1 year Health Guarantee, Health Records, up-to-date puppy vaccinations and current de-wormings starting at 4 weeks old. 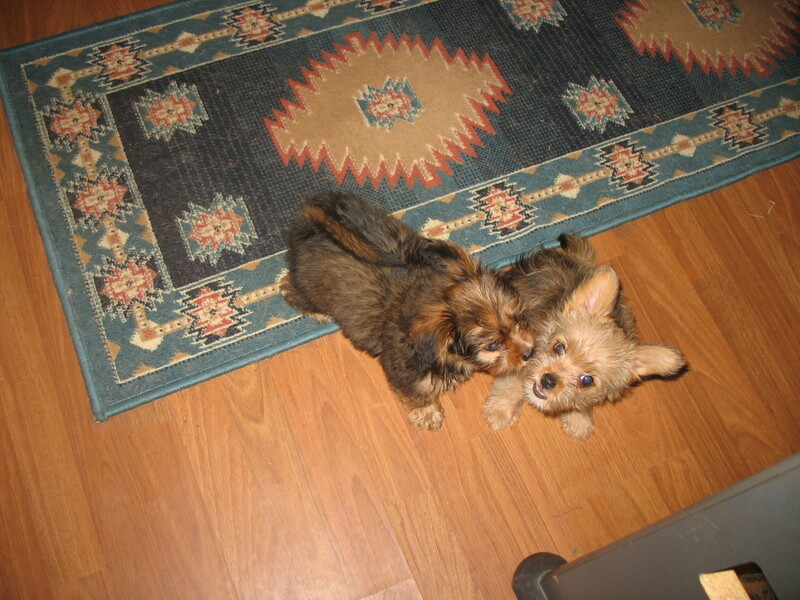 They also come with a Puppy Starter Kit and a Life Time of Breeder Support. We ship our puppies with United throughout the United States of America, and Canada. Alabama, Alaska, Arizona, Arkansas, California, Colorado, Connecticut, Delaware, Florida, Georgia, Hawaii, Idaho, Illinois, Indiana, Iowa, Kansas, Kentucky, Louisiana, Maine, Maryland, Massachusetts, Michigan, Minnesota, Mississippi, Missouri, Montana, Nebraska, Nevada, New Hampshire, New Jersey, New Mexico, New York, North Carolina, North Dakota, Ohio, Oklahoma, Oregon, Pennsylvania, Rhode Island, South Carolina, South Dakota, Tennessee, Texas, Utah, Vermont, Virginia, Washington, West Virginia and Wisconsin. Shipping usually runs about $375.00, but is based upon the size and weight of the puppy when shipped. Shipping covers the cost of the airfare, new shipping crate that you keep and the Health Certificate issued by our Veterinarian. Basically all you do is select a puppy, pay for him/her and pick him/her up at your airport. We welcome folks to come out and visit with us and our dogs and puppies. Come and see us in central Oklahoma. Please call for an appointment. Delaney and Bitsy (Delaney and Dex's daughter from previous litter are at our house for you to meet but Dexter belongs to a friend of ours and doesn't stay with us all the time. Contact Rita at 580-925-2140.